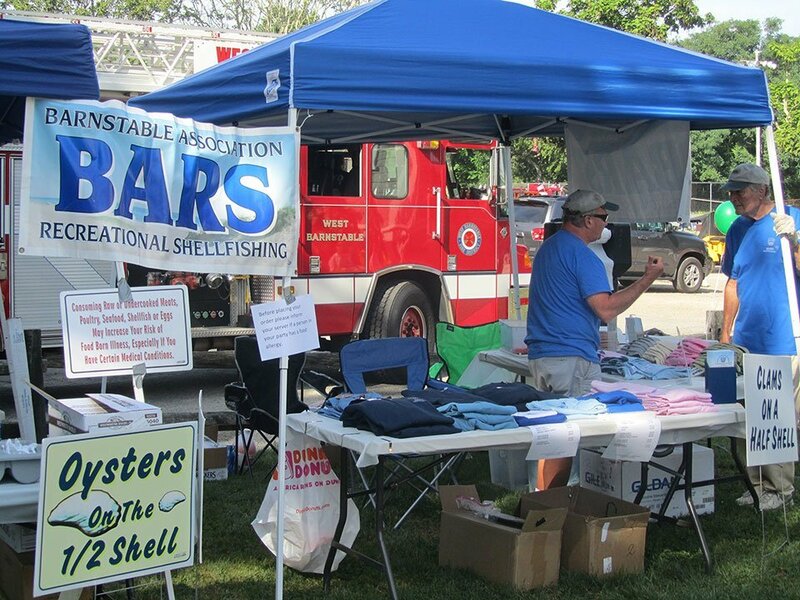 The BARS booth at the West Barnstable Village Festival was twice as big as in the past, and was fully stocked. 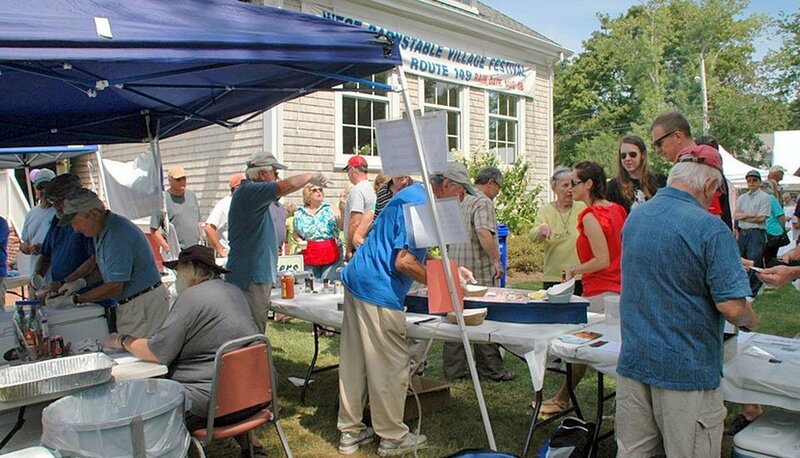 Steve Hoxie grilled his signature littlenecks with garlic and butter, we had kettles of chowder, oysters on the half shell, and lots of BARS merchandise. 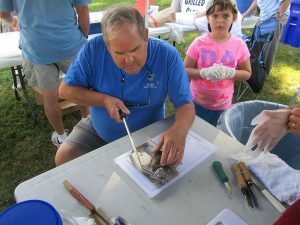 Bob Silva demonstrating BARS’ new oyster shucker while his grand daughter looks on. 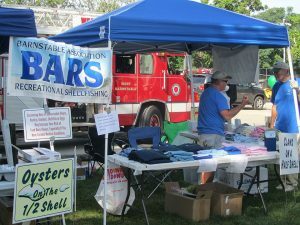 Photo in middle with Tom Lipinski and Andre Sampou in the BARS merchandise booth. 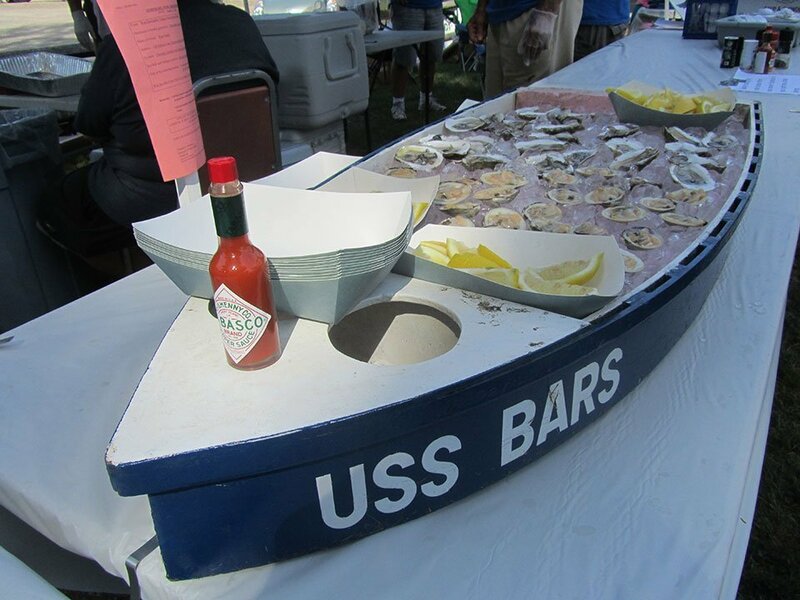 Photo on right of USS BARS oyster boat filled with freshly shucked oysters on the half shell. Many more photos of this event are in the BARSgallery flickr photostream.